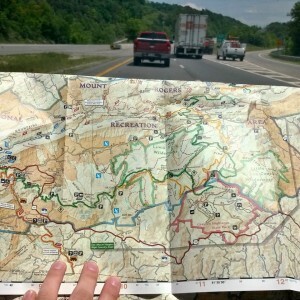 Trip report by Kayla “Clover” McKinney. Conditions: Warm, sunny, breezy, mid-70sF during day, mid-50’s at night, some rain at night. 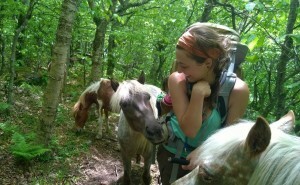 Highlights: Wild ponies, tallest point in Virginia, beautiful mountain vistas, Appalachian Trail, rhododendron forests. 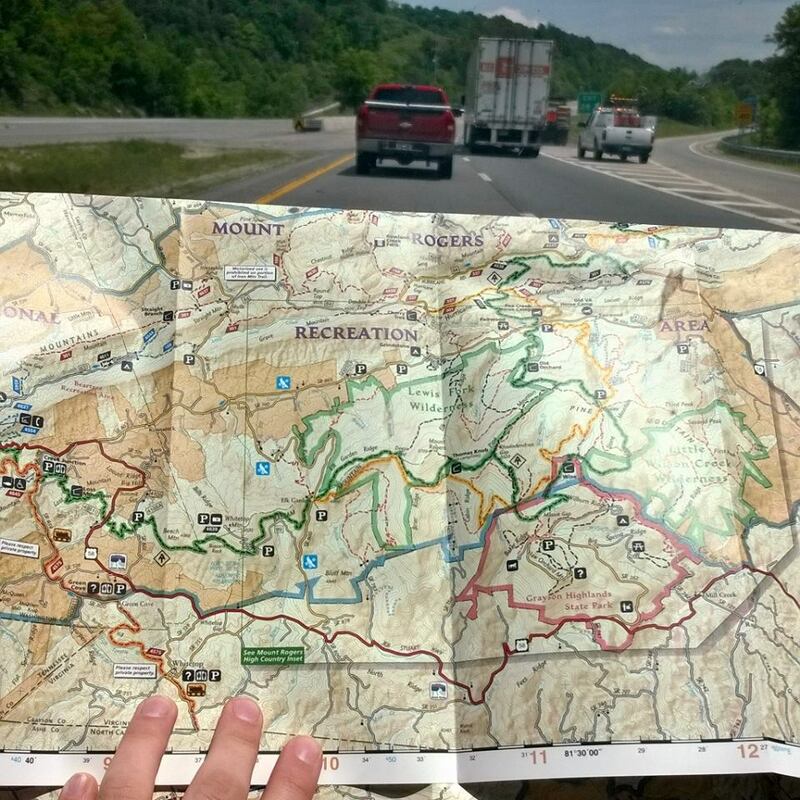 Directions: I-81 S, exit 45 in Marion, head south on VA 16, passing by the Mount Rogers National Recreational Area Visitor Center in 6.1 miles. Continue for another 11.2 miles to Troutdale, then turn right onto VA 603. The Trail Head parking is identified by a small brown sign on the right 5.7 miles down (pictured below.) This sign is easy to miss, so watch your odometer. 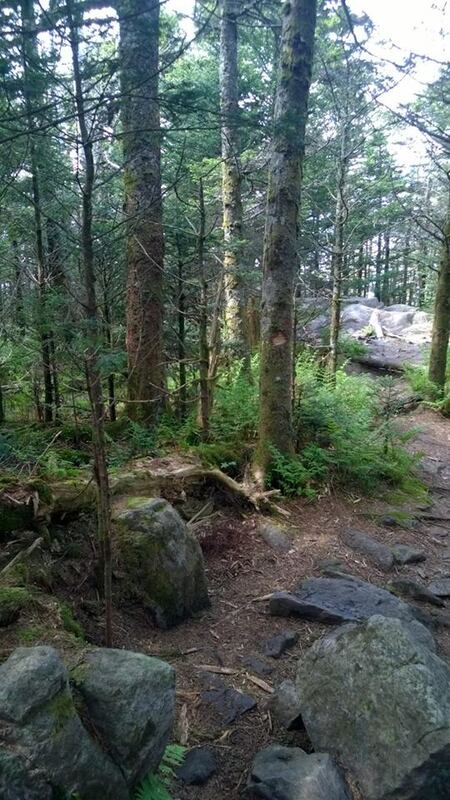 Description: The beauty of southern Virginia cannot be easily summarized in words and on this hike, you get not only that, but views into the ridges of North Carolina as well. This hike begins with almost immediate elevation gain as you follow the Mt. Rogers Trail up to the ridge line where it meets up with the AT. Keep trucking! It will be worth it, believe me. 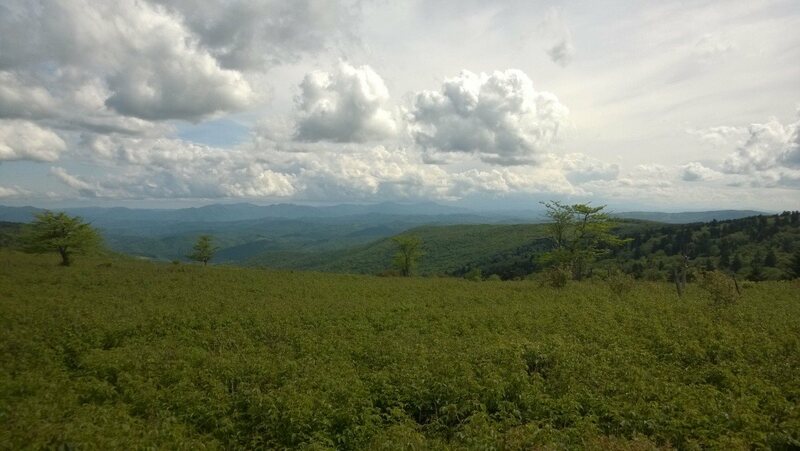 As you crest the ridge, the world below opens up and the rest of the hike is stunning view after stunning view of the sparsely populated, rolling landscape. 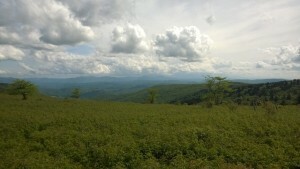 Summit Mt. 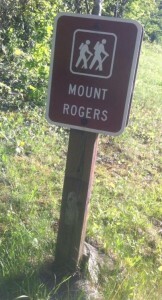 Rogers and you’ve reached Virginia’s highest point at 5,729 feet. You will run into groups of wild ponies along the trail. Please do not feed the horses, but they are very friendly and will pose for pictures. 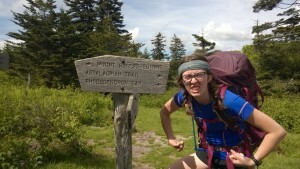 Stay the night at the Thomas Knob Shelter about 8 miles in for an amazing sunset or keep hiking and camp at any of the great campsites off the trail further on. As you hike, your view will be the legendary Grayson Highlands before dropping down from the ridge, down through the Fairwood Valley, and finally looping back to your car. 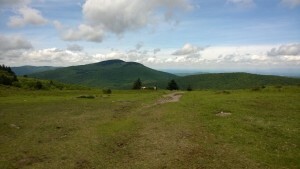 The trails: Parking Lot -> Mt. 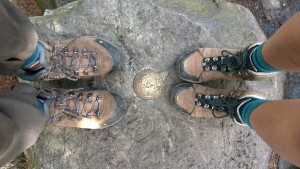 Rogers trail -> Appalachian Trail -> Side Trail to Mt. Rogers Summit -> Appalachian Trail -> Pine Mountain Trail -> Lewis Fork Trail -> Mt. Rogers Trail Parking Lot. Water: Water was somewhat scarce on this trip. I packed in about 3.5L of water: a 2.5L reservoir and a 1L Nalgene water bottle. There is a stream off the Lewis Fork Trail, approximately 1.5 miles off the Mt. 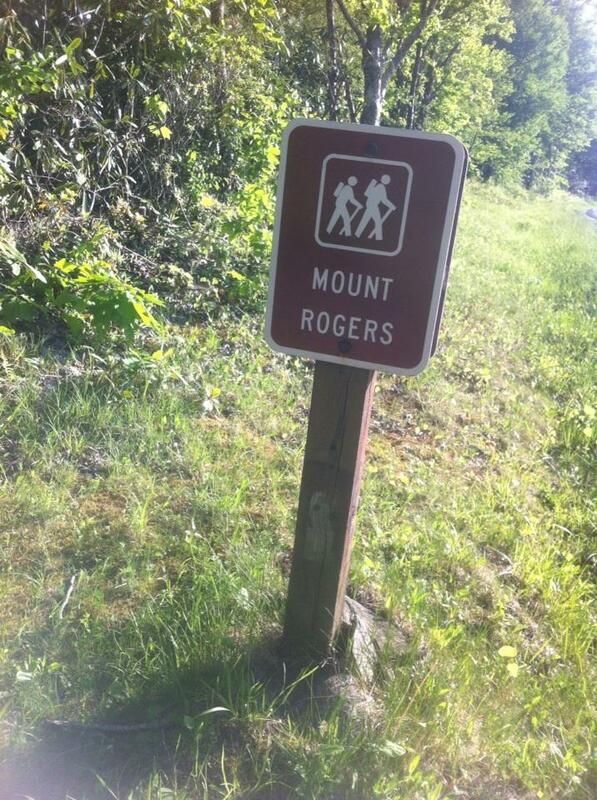 Rogers Trail in case of emergencies. The next water source is at the Thomas Knobb Shelter, 7.6 miles from the Trail Head, and the location of the first night. There is also a small stream approximately 10 miles from the Trail Head along the Appalachian Trail.